Sportsbetting.ag is a major online sportsbook that has been mentioned on ESPN, FOX Sports and more. It welcome U.S. members and in addition to a sportsbook, Sportsbetting.ag features a racebook, casino, poker room and more. The house also offers numerous bonuses and other opportunities for new and established members alike. If you’re new to Sportsbetting.ag, you can maximize your bankroll with a starting bonus worth as much as $1,000. You have to be a new member registering a valid account for the first time. Then, make an initial deposit of at least $25. Note that deposits made via Skrill or Neteller aren’t eligible for this bonus. Once you’ve chosen a suitable payment method and indicated your deposit amount, use the promotional code SB1000. The code is important because Sportsbetting.ag offers various welcome bonuses, including introductory offers for the casino and poker room. With this Sportsbetting.ag Sportsbook bonus code, whatever you deposit, the house will match it by 75 percent. So, if you deposit $25, you’ll get a bonus worth $18.75, and you have to deposit about $1,333 to max out the promotion and receive the full $1,000 bonus. The bonus money will be deposited into your account as soon as your deposit clears. The bonus money only applies to the main sportsbook, so the live betting and the racebook are off limits. The bonus has a 12-times rollover requirement and a 30-day withdrawal restriction. That means that after claiming this bonus, you must wait 30 days before making a withdrawal. You must also zero out your account or turn the bonus over 12 times. If you deposited $25, you’d have to bet through $18.75 x 12 = $225 in order to withdraw any winnings. Sportsbetting.ag offers an ADDITIONAL sportsbook welcome bonus for WHEN you make your first deposit with Bitcoin. 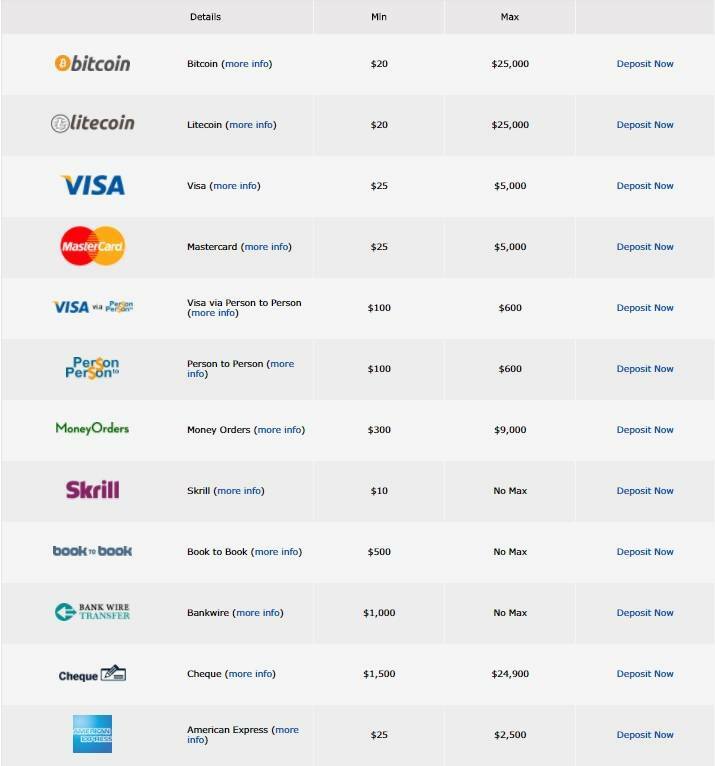 Simply use the promo code 100CRYPTO during the cashier deposit process. We prefer Bitcoin as our method of deposit and withdrawal because it’s much faster and more reliable than relying on checks from an offshore payment processors. This offer requires a bitcoin deposit equivalent to $20 or about 0.0054BTC at the time of this writing. The house will match that amount by 100 percent up to the equivalent of $1,000 or about 0.27BTC. The rollover requirement is 14 times the bonus. Restrictions are otherwise the same as outlined for the welcome bonus. The first live bet you ever make at Sportsbetting.ag is on the house. 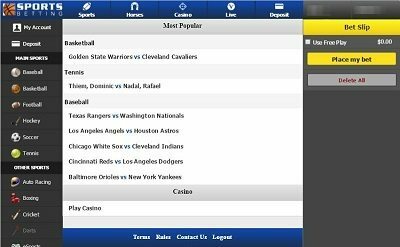 Have at least a $25 cash balance and place a $25 or greater wager using the live betting software. If the bet wins, congratulations. If the bet loses, email freeplay@sportsbetting.ag with the subject line “$25 Live free bet.” Within 48 hours, the house will award the $25 free bet to your account. If you claim the free bet, there’s a six-times rollover requirement, which means that you have to play through $150 before you can make a withdrawal. The first sports bet you ever make on a mobile device is also on the house. Simply visit mobile.SportsBetting.ag and place any valid wager. If that bet wins, congratulations. If the bet loses, email freeplay@sportsbetting.ag with the subject line “$50 Mobile Free Play.” Within 48 hours, the house will award you a free mobile bet that matches the bet you made up to $50. You must play through the free play amount six times before you’re eligible to make a withdrawal. This is another killer deal from Sportsbetting.ag. Another free bet? Yes. This one applies to horses and is worth as much as $25. Like above, place a valid bet. 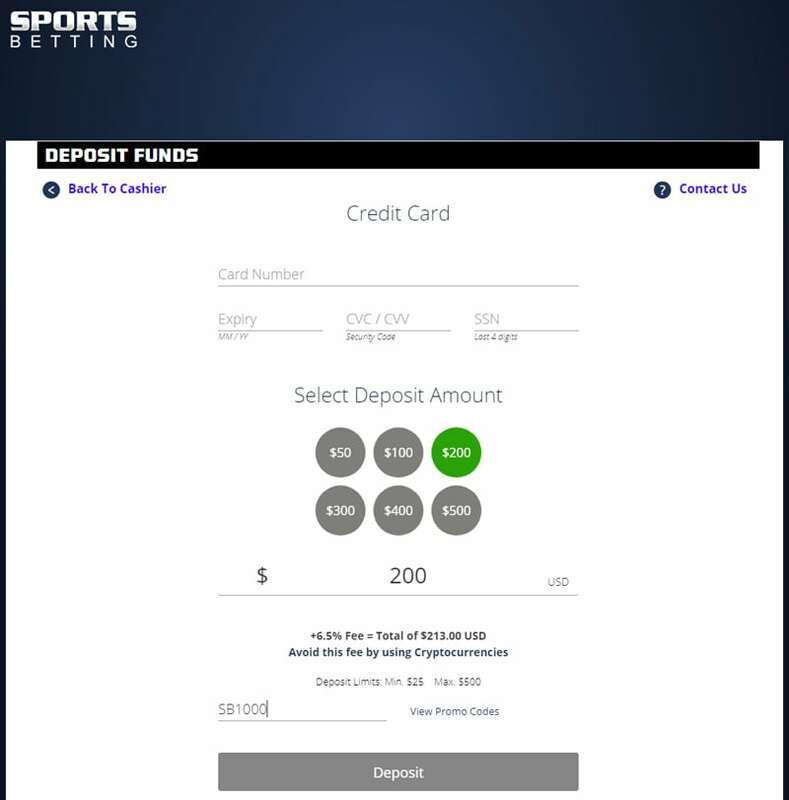 If your wager loses, email freeplay@sportsbetting.ag with the subject line “$25 Horse Free Play.” You must play through the free play amount six times before you’re eligible to make a withdrawal. I don’t know anything about horse racing, but that doesn’t matter, take a free bet when it’s offered! Most horse bets at Sportsbetting.ag that lose are eligible for a rebate. For bets placed online, the rebate is 7 percent. For bets placed via telephone, the rebate is 4 percent. Rebates are calculated and paid out on a daily basis. Rebates are based on net losses. For example, if you place four $5 bets, three lose and one wins for $10, your net loss would $5, so you’d get $0.35 or $0.20. Bets that aren’t eligible include props, fixed odds, matchups, tracks in categories D and E and bets that pay $2.20 or less for $2. Sportsbetting.ag is much more than just a sportsbook and offers a full-featured online casino as well. The house offers a 100-percent match bonus up to $1,000 on your first three casino deposits. Simply make the deposit via the casino cashier and redeem the promo codes CASINO1, CASINO2, CASINO3 with each deposit. Deposit at least $25 each time. All bonus money from this offer can be used at the casino only. Some games are off-limits as well: baccarat, blackjack, craps, roulette, video poker, mobile games and live games. There’s also a 40-times rollover requirement of both the deposit and bonus. So, if you deposited $100 and claimed a $100 bonus, you’d have to play through ($100 + $100) x 40 = $8,000 in order to be eligible to withdraw any winnings. Note that wagers on baccarat, craps and roulette don’t count toward the rollover requirement. All other bets do. Slots and video poker fans can claim a reload bonus whenever they make a $50 or greater deposit. Simply use the promo code SLOTSPIN or 100TIMESVP. The house will match your deposit up to $1,000. If you use the code SLOTSPIN, your bonus money is only playable on slot machines and games in the slots family. If you use the code 100TIMESVP, the bonus is only playable on video poker machines. For SLOTSPIN, the wagering requirement is 30 times the deposit and the bonus. For 100TIMESVP, the wagering requirement is 50 times the deposit and the bonus. At the end of each month, you’re eligible for a 20-percent rebate on net losses at the casino that month if you have at least $500 in net losses. At the conclusion of a month, you have 48 hours to email casino@SportsBetting.ag with a request for the monthly rebate. The house will calculate your rebate and pay it in bonus money up to $10,000. This bonus has a 30-times rollover requirement. New members can opt for a poker-oriented welcome bonus instead. Make a deposit of at least $50, and then, email support informing them that you want a poker bonus. The bonus will match your deposit, and you’ll claim it in increments of $5 as you earn comp points. You’ll also receive an entry for the next $5,000 New Player Freeroll hosted each Sunday. Comp points are earned with each cash rake or tournament buy-in and can be used in place of cash to purchase tournament buy-ins. Get playing at Sportsbetting.ag today! You can find more information on the Sportsbetting.ag promo code here. Great review, learned a lot about all the extra bets you get when joining Sportsbetting.ag. Yes, I know there are rollover requirements with all of them, but if I'm going to be betting at Sportsbetting anyway, may as well get some free bets along the way. Thanks, like the site a lot.